This isolated archipelago of volcanic islands is known around the globe as a dream destination for wildlife enthusiasts looking for the experience of a lifetime. Located in the eastern Pacific Ocean near Ecuador, the Galápagos Islands were made famous by Charles Darwin, whose observations and collections during his explorations here inspired his inception of Darwin’s Theory of Evolution. 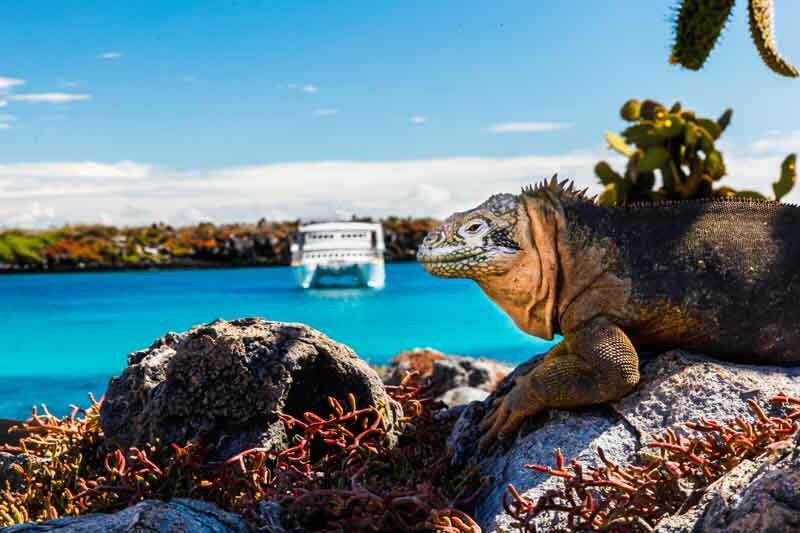 Touring the Galápagos Islands by yacht offers an inspirational experience reminiscent of Darwin’s travels by boat, albeit more luxurious and glamorous. Throughout your journey, you’ll have the opportunity to immerse yourself in a mystical land filled with unexpected inhabitants and unique species, most of which have developed outside of human influence. Each island features its own distinctive landscape, ranging from barren grounds with volcanic rocks to stunning white sand beaches surrounded by aquamarine waters. 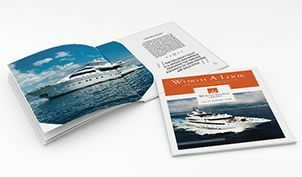 As a double World Heritage site, where both land and sea are protected, yacht routes are monitored by Galápagos National Park officials to ease crowding and environmental stress, resulting in blissful seclusion and undisturbed waters for cruising. With a lack of natural predators, the wildlife inhabitants are remarkably friendly and welcoming, offering visitors an intimate experience like no other. 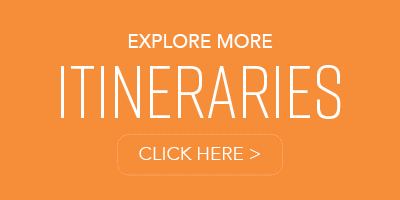 Here you can swim with sea lions and Pacific sea turtles, scuba-dive among hammerhead and whale sharks, and spot exotic marine iguanas, frigate birds, blue-footed boobies, albatross, and penguins on land. 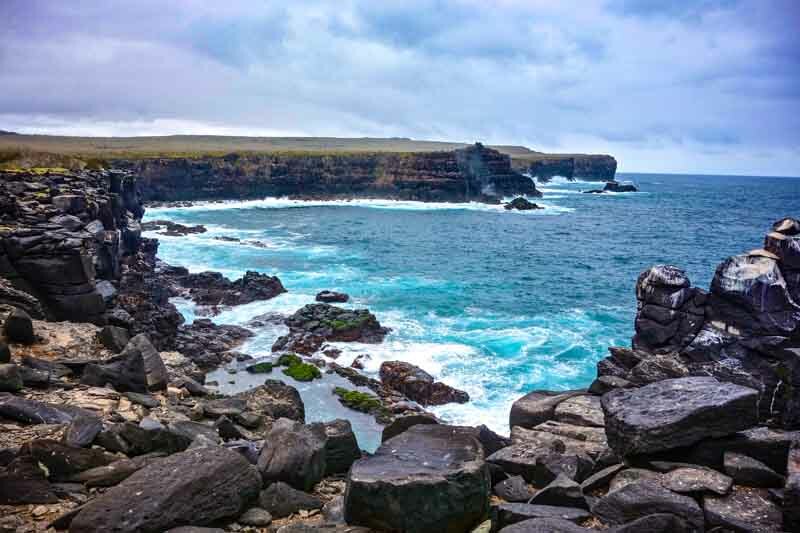 This sample itinerary of the eastern side offers just an example of the wonder and amazement the Galápagos Islands have to offer. 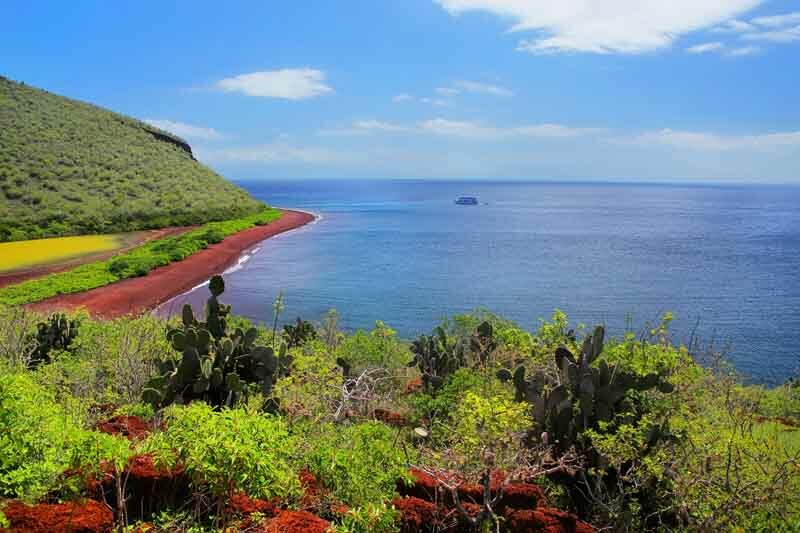 A perfect spot to begin your journey, the island of Santa Cruz features lush vegetation, a host of exotic birds, and the legendary giant Galápagos tortoises in their natural habitat. 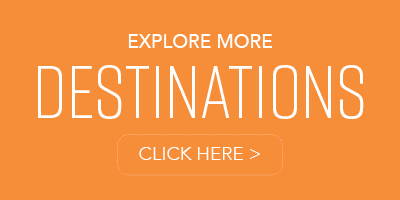 Visit the Charles Darwin Research Station and Galápagos National Park headquarters for in-depth and informational look into this mystical environment. 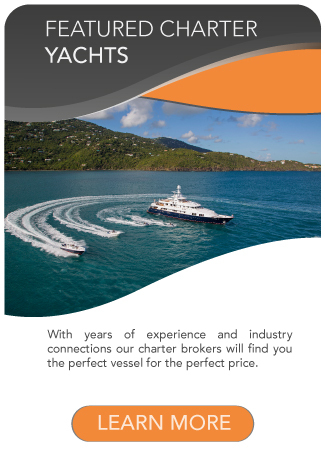 When your exploration of the island is complete, your yacht and crew await, ready to transport you on the journey of a lifetime. Española Island is the most southerly and one of the oldest isles in the archipelago, attracting tourists with its variety of endemic wildlife, including the Española mockingbird, lava lizard, and waved albatross. Punta Suarez, one of the most coveted visitor sites of the Galápagos, is renowned for its albatross breeding colony, as well as “the blowhole,” a proverbial geyser that sprays water some 75 feet into the air. 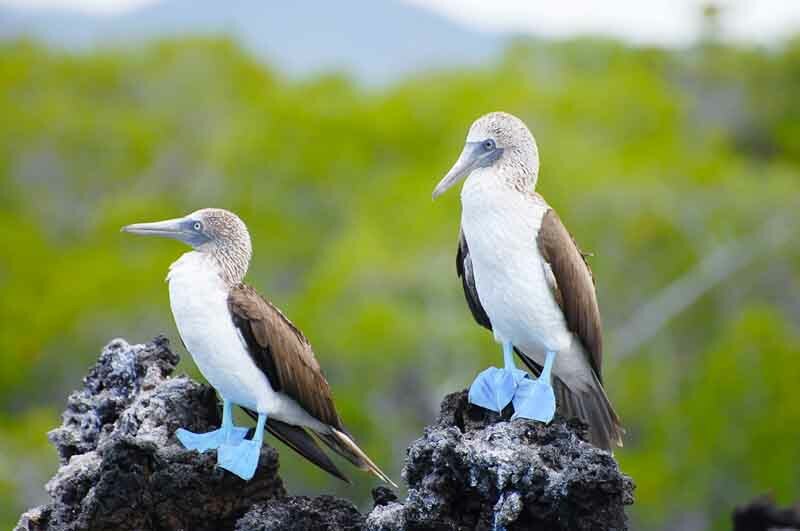 San Cristóbal, the island where Darwin first went ashore, is tranquil and beautiful, and home to Punta Pitt, the only place where all three species of boobies can be seen: blue-footed, red-footed, and Nazca. 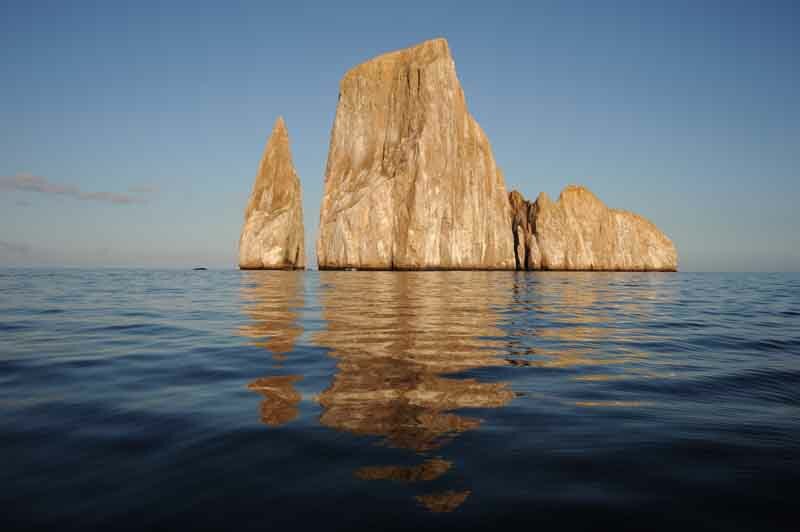 If snorkeling is on your list, take the tender to Kicker Rock, an underwater paradise that’s home to exotic schools of fish, hammerhead sharks, and sea lions. 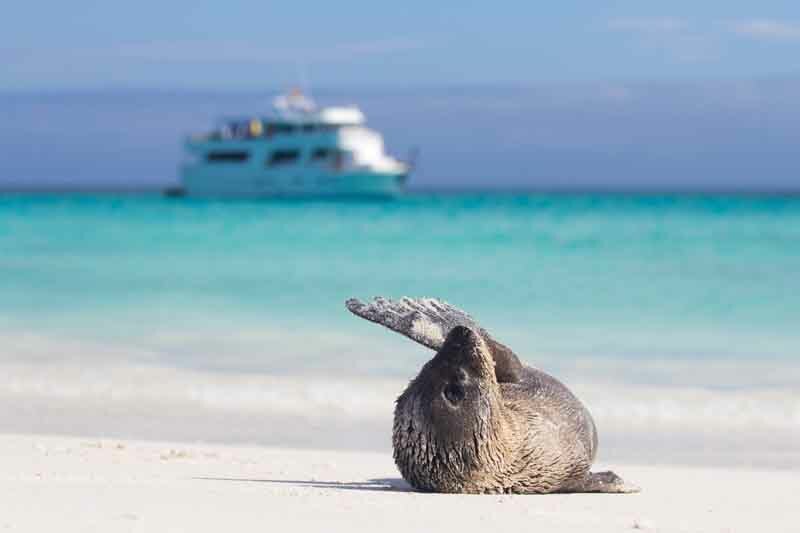 Cruise to Santa Fé Island and marvel at its white sand beaches, typically covered with playful sea lions. The turquoise waters are calm and clear, offering the perfect respite for kayaking or snorkeling. Jaunt to the tiny island of South Plaza, known for its lush flora and large colony of Galápagos land iguanas. When you arrive at the isle of Genovesa, anchor at Darwin Bay Beach and head ashore, where a short trail past tidal pools and lava ridges leads to a high point overlooking the bay, offering one of the most extraordinary views in Galapagos. Make your way to Prince Philip’s Steps, anextraordinary stairway of rocks arranged by Mother Nature that leads through a seabird colony full of exclusive native species. 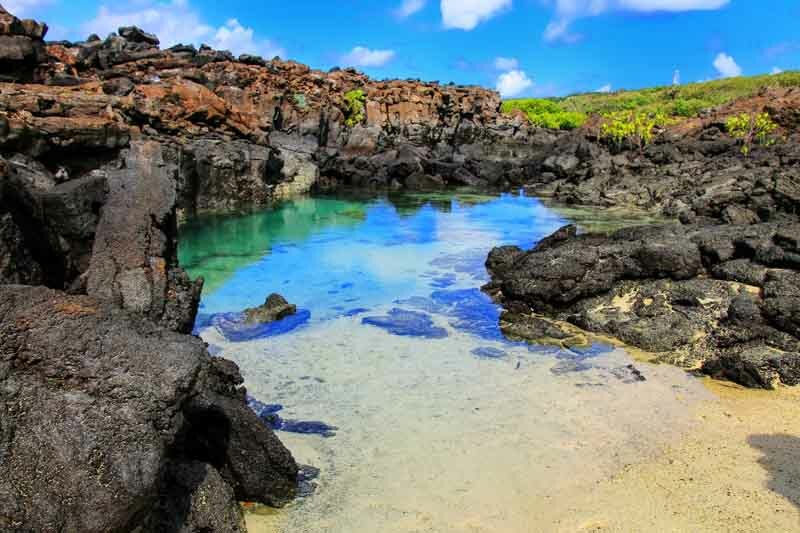 The uninhabited island of Santiago is one of the most popular tourist sites in the Galápagos, offering visitors several sites to stroll stunning land formations, observe inherent wildlife, and enjoy extraordinary diving. Walk across a recent lava flow that sparkles in the sunlight at Sullivan Bay. Visit Pinnacle Rock, the most symbolic landmark of the Galápagos, that projects into Bartolomé’s northern bay. Here you can snorkel in the bay or climb the volcanic cone, an easy trail that leads to panoramic views of the surrounding islands. Rabida Island is home to Red Beach, an intriguing landscape of colorful eroded hills where you can explore a saltwater lagoon, spotting wading birds and ghost crabs along the way. 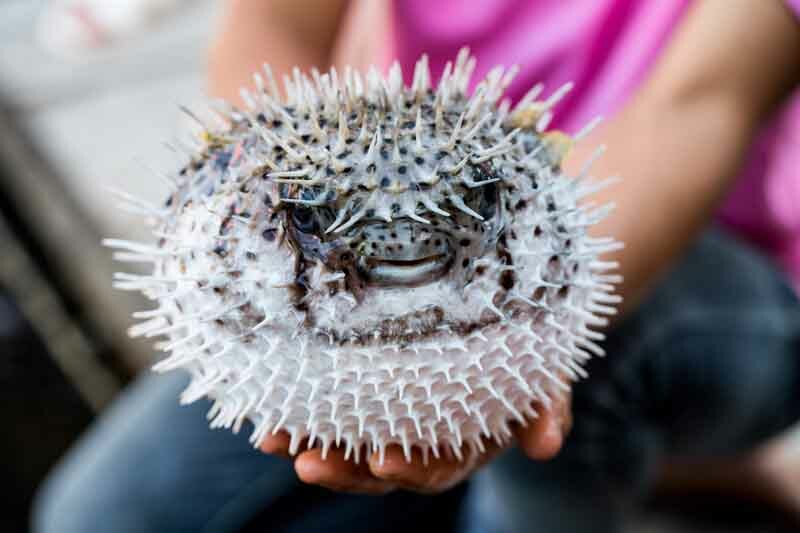 Later, visit Sombrero Chino, where a hike on a white-sand beach features sea lions, American oystercatchers, lava lizards, marine iguanas, and Sally Lightfoot crabs. After a day of adventure, return to your home on the water, open a bottle of wine, and reminisce about your journey as you cruise back to reality. 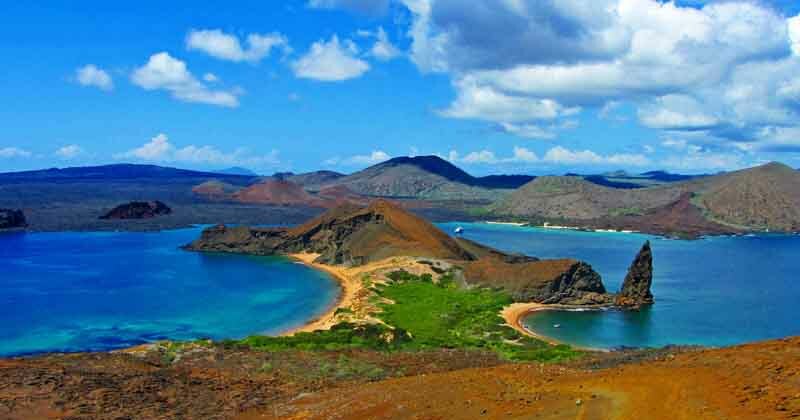 CLIMATE: The Galapagos archipelago has an uncharacteristically dry and moderate climate for the tropics and is generally classified as sub-tropical. 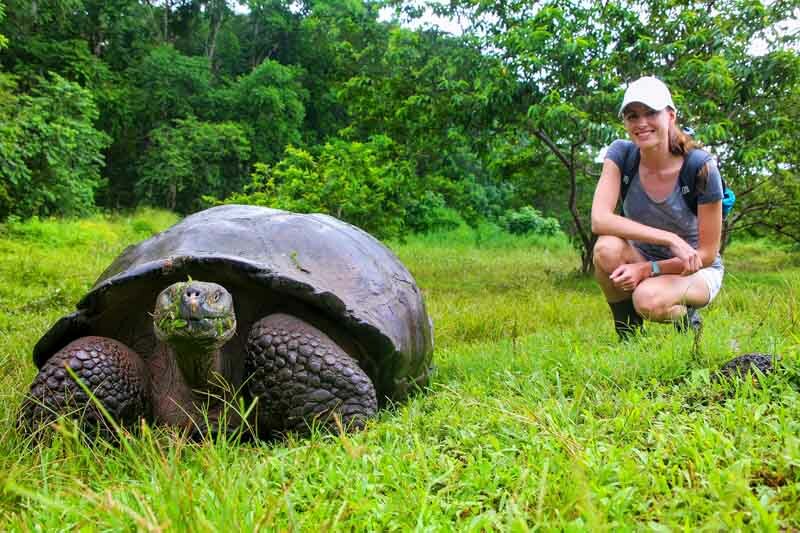 This makes Galapagos travel a year-round vacation option.